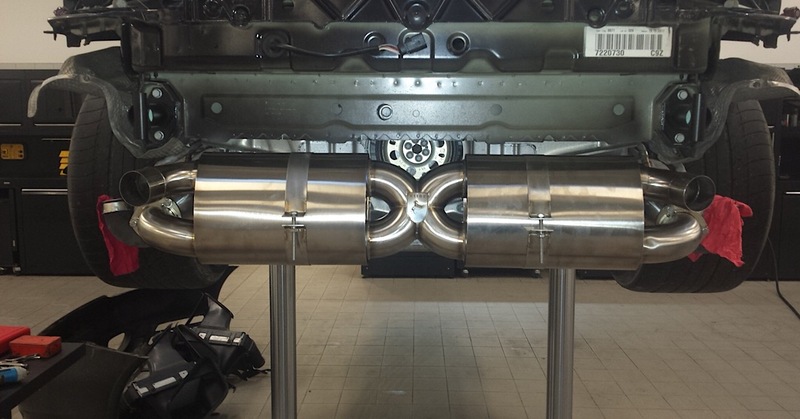 911uk.com - Porsche Forum : View topic - Ebay inconel exhaust silencers? 911uk.com Forum Index > 911 GT, R & RS Models (1973 - current) > Ebay inconel exhaust silencers? Posted: Mon Feb 11, 2019 3:47 pm Post subject: Ebay inconel exhaust silencers? Has anyone here bought these? I like the idea they are easily(?) repackable. Interested in all opinions. Thanks. Inconel is an incredibly expensive material; the welding & fabrication in general looks very good quality although you'd need to figure out a way of attaching the cans to the standard hangers. I'd want to see the internals as that's where the detail is - if it's almost empty or poorly baffled, any packing is going to get blown out in no time. I can't quite see how these can be sold for so little but the listing has been up since 26-Aug-18 so I'm assuming it's not just a prototype being flogged off to cover material costs. I've binned 2 sets of GT3 rods & a crankshaft in the last few years - they're worthless really. Posted: Tue Feb 12, 2019 12:41 am Post subject: Re: Ebay inconel exhaust silencers? Inconel is not available in thinwall tubular sections suitable for fabricating exhausts from, so when they're required they have to be rolled and seam welded. Right click and open in a new tab, then click on the image to enlarge it. The hanger bracket and straps are a work of art. Look at the tubular section leading from the cat into the silencer box. At 3 0' clock you can see two dark lines, that's the seam weld (and one can also be seen on the short section of pipe before it disappears into the tailpipe trim). I've seen the machine used to seam weld the sections once they've been rolled, the welds it produces are incredibly neat, and flush to ensure good gas flow. These are my thoughts also. They have been for sale a long time now. So maybe there's a catch somewhere. Posted: Sat Feb 16, 2019 9:20 pm Post subject: Re: Ebay inconel exhaust silencers? Inconel is a group name for austenitic nickel-chromium alloys. I suspect the actual material is inconel 625. This can be made into any tube diameter / wall thickness you desire. I have run an aerospace tube business for 20 years and our company owns two tube mills in the US. Inconel welded tube (you can make seamless by either hot piercing bar, gun drilling or forging a hollow then drawing, but thats another story) is made by either rolling or press braking sheet or coil to the desired diameter followed by autogenous TIG (most favoured but can be plasma for thicker tube follow by TIG cap and toe) welding to make tube. Typically the tube is made a few % larger then drawn to finished shape. The weld is normally planished to the same thickness as the parent metal, this improves the mechanical properties of the weld also. Finally the tube is either vacuum annealed or annealed in a air furnace then pickled to remove scale in the case of the air furnace. We make very thin wall tube (0.006") inconel 625 & 718 tube to make multi-ply (typically 3 plies) bellows. These form the basis of all aircraft flexible joints that allow gas tight air ducting systems in airframes that flex. On the larger side we supply the fuel risers for some big space rockets that can be 18" diameter and are typically inconel 718. We have a held held X-ray spectrometer that tells you what the material is in a few seconds. Is this a case of not available actually meaning too expensive, not available in the diameters required or subject to MOQ contracts ? Fascinating info about Inconel, thanks! I emailed the seller. He doesn't know the exact material neither the fabricator of these silencers in question. Or he doesn't want to tell. 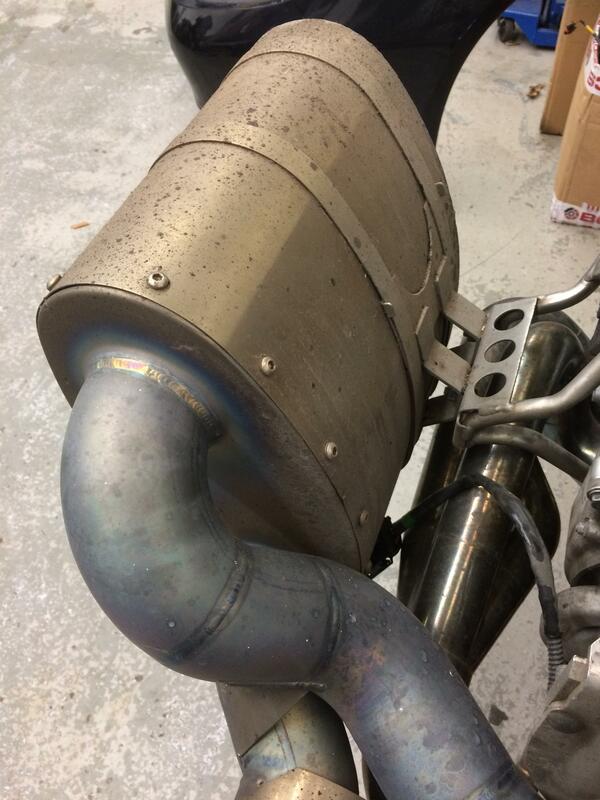 He says they are fabricated by one of the best exhaust specialist in UK. They certainly look like a quality part but.. Sorry I had no intention of preaching it's just my subject matter. Over the years I have been on this forum and PH I have always really enjoyed your posts and they have often inspired me to do stuff. Aerospace tubing makes Porsche GT cars look underpriced! In the US we sell to a couple of high end aftermarket exhaust manufacturers, mostly 321 st/st but some inconel 625 too. Fair play to the UK guys rolling and welding not an easy task in inconel. Its difficult to get it round enough to mandrel bend and inconel tends to be more difficult to weld with the welds being somewhat larger than stainless. Some welders describe it as "stirring a pudding" so you need to get the weld hotter. Thus the larger weld makes it even more difficult to get any decent mandrel in the bore. This is why we planish. Looking at the exhaust in question the bending, welding and general fabrication look good. Rest assured, I didn't consider your post in any way "preaching", everyday genuinely IS a school day, and when individuals such as yourself post, I take note as there's always something interesting to be learnt. I wonder has Inconel tube suitable for exhaust fabrication "historically" not been available in the UK ? He showed me the manifolds that he'd handcrafted, and more interestingly the merge collectors and the "pyramids" within them. Until then I'd not realised such pyramids existed, and that altering their length could alter the flow rate and thus allow further tuning of the exhaust. In the V8 era, they saw gains of up to 10hp just by changing the length (and thus angle) of the pyramids. He also showed me a section of tube he'd rolled and welded, and went on to say that whilst at Benetton, their quality controllers used mirrors to inspect the insides of finished manifolds to ensure the internal welds were as flat as possible. Any defects, and they were returned either for further fettling, or to be consigned to the waste metal skip ! I think he said it took nearly two weeks to fabricate a pair of V8 manifolds from scratch. The other is the owner of a very highly regarded exhaust manufacturer who has supplied various BTCC teams. He showed me their seam welder and the product once a length of tube had been seam welded on it. The weld was nothing but a 3mm wide bright silver "line", and when you looked at it closely, you could barely make out the weld pools along it's length as they were so small, neat and tidy. All were completely flush too. The end result seen here at 1 min 55 secs is truly stunning. To complement our aerospace business we supply many of the current F1 teams with small diameter welded hydraulic tube assemblies, so anything from brake line to gear change actuation. The size is mostly around the 10mm diameter range. Pretty much all titanium (2al 2.5v). Occasionally over the last 20 years or so they have pitched their exhaust manifolds at us to quote but their requirement is so specific and their volume so low that it's not really a viable commercial product. But from what I have seen the teams have some excellent fabricators. I'm not surprised that they make their own material as the volume is tiny. Compared to the aerospace inconel tube it looks homemade. Typically on our stuff you would not be able to see the weld at all (as I said previously its planished then almost always drawn afterwards to size he tube). Our normal diameter tolerance on something in the 2" to 3" range would be +/- 0.002" which for a fabricated product is pretty round. My experience of the F1 teams is that they know how to design and build F1 cars but their knowledge of say where to buy inconel tube would be limited, even the specification (eg inconel 625 tube is AMS5581) of what to buy would be limited. If you are ever in the Salisbury area please feel free to drop me a line and I'll show you around our UK factory. Our other plants in aerospace are two in France, Connecticut, San Diego & Seattle. In fact our Seattle plant was the first company to make lightweight titanium ducting tube for Boeing back in the early days of commercial jet aircraft. That’s an incredibly kind and generous offer. I’ll look forward to gaining a better insight into the intricacies of the mythical material.